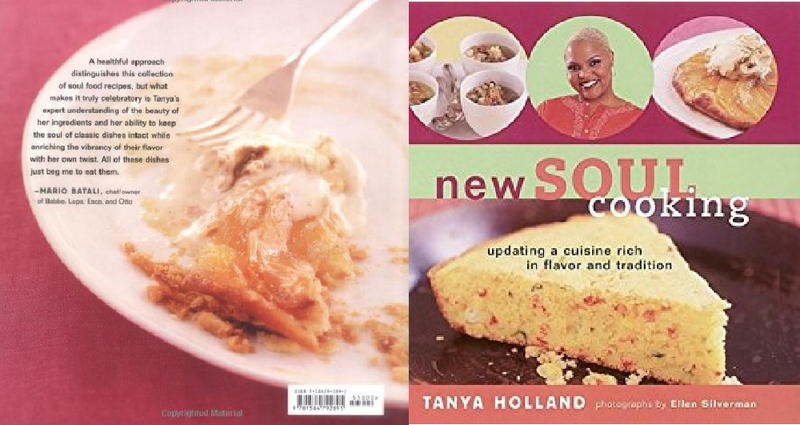 In New Soul Cooking, chef and Food Network host Tanya Holland offers an irresistible collection of updated soul food recipes. This "new" cuisine, while maintaining its ethnic roots, uses a wide range of fresh, healthy, and seasonal ingredients. From Sweet Potato Blini with Bourbon-cured Salmon and Caviar to Banana Pudding Napoleon, New Soul Cooking stretches the repertoire of African-American cuisine by combining this traditional style of cooking with global flavors and cooking techniques from the Caribbean, the Mediterranean, Asia, South America, and the American Southwest. Holland recognizes that today's cook is interested in new and innovative presentation ideas. Full-color photographs and creative tips throughout the book reinforce that the color palette is as important as the flavor palate of a dish. New Soul Cooking reflects the fact that many African-Americans share the heritage of Brazil, the Caribbean, the American South, and of course Africa. The book draws upon the Diaspora of African culture using the spice trade route as a guide. Through informative headnotes and delicious recipes, Holland demonstrates how flavors of East Indian, Native American, European, and Chinese food fused with Caribbean, Cajun, and Creole dishes to create the concept of "soul food."